When I first decided I was going to Spain, I knew I wanted to visit Oviedo. I've seen Vicky Cristina Barcelona way too many times to not make a trip to the city Juan Antonio invites Vicky and Cristina to promptly after first meeting them. Likewise, "Oviedo" by Blind Pilot is one of my favorite songs, and I listened to it on repeat the entire weekend. Of the three cities Mette and I visited, Oviedo was possibly the one I was most excited to see. We started our trip to Oviedo by catching a bus from León after a ridiculously good breakfast of café con leche and a red velvet muffin at the Tea Te Café. 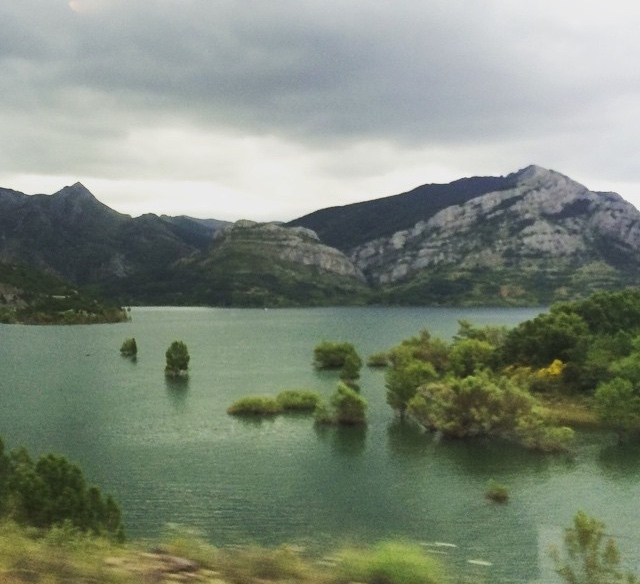 The drive between the cities was incredibly beautiful; the land is very mountainous so for an hour and half, we saw all these mountains surrounded by lakes and quaint little houses on hills. 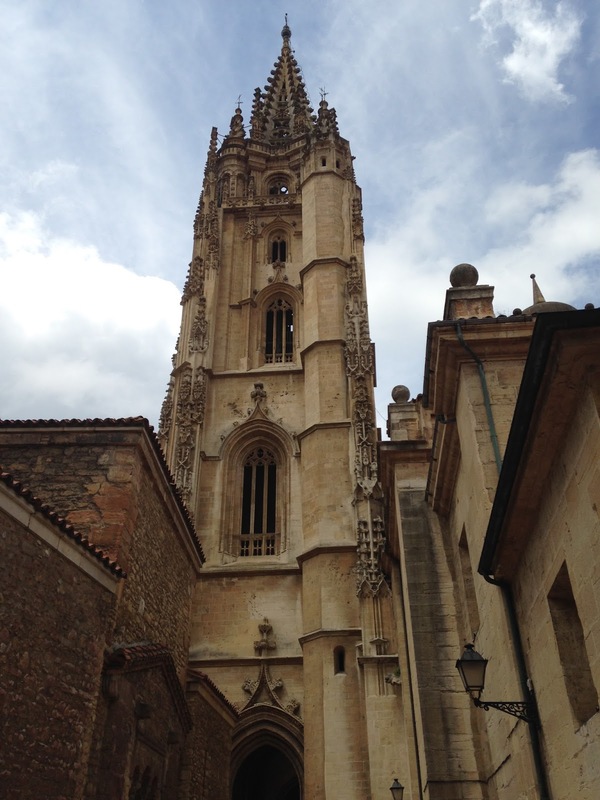 After arriving in Oviedo, we checked into our hotel and began our walk around the city. After a couple hours of exploring the center, we took a bus about three kilometers away to see two historical monuments: San Miguel del Lillo and Santa María del Naranco, which Juan Antonio and Vicky visit in the film. On our tour between the first and second churches, it began pouring and Mette and I got absolutely soaked. It was significantly colder that weekend, especially in the north, and Carlos, a kind man from Barcelona who was also on our tour group, offered us a ride back to the city.